The prospect of Full Disclosure is very familiar to us at this point. Free energy, new healing technologies, food materializers, star-gate technology, teleportation, and numerous other technologies are not simply 'possible'. These are reported to currently be in use, and will be made available to the surface population after the full disclosure takes place. Until then, we have much to study, to learn, and to discern from the testimonies of those who have witnessed and used these technologies. During this discussion, David Wilcock continues his reveal of the numerous aspects of cabal-manipulated half-truths dispensed through the mainstream media. Though these corporately-approved disclosures may be partial, they give us an eye-opening picture of just how far the cabal is willing to go in order to save their own image. The discussion starts off on the subject of the deployment of the psychological weapon we know as the pseudo-skeptic. If there is one thing that I am passionate about, it is doing my best to ensure that truth is delivered to the people untainted and untampered with. (Though I do tend to have a bias toward the positive perspective on various situations.) Consequently, when it comes to blind pseudo-skepticism, there is a certain obligation for those who value truth to uncovered their overt bias on information. In my own view, self deception, dishonesty, and religious fundamentalism have no place within accurate truth, and in order to maintain the integrity of any information, it is important to be aware of such hazards so as to avoid them. There is one particular website which I respect very much in their goal of objectively presenting the other side of the story with regard to the underrepresented aspects of modern science. This is the site, Skeptical about Skeptics. It is this site which David Wilcock mentions on this topic. Let's take a look at a passage from the “About Us” section of the site. Why are we skeptical about skeptics? Isn’t skepticism about approaching new ideas rationally and examining evidence objectively before jumping to conclusions? Shouldn’t we avoid believing anything and everything that comes our way? Of course we should; that is the foundation of science after all. But it is also possible to go completely overboard on skepticism to the point where it’s just overwhelming bias against new ideas. They are rejected out of hand and evidence is disregarded before it is even seen. This is actually quite common. You can pick pretty much any controversial topic and there will be a wide range of opinions ranging from true believers to dogmatic deniers, whether we’re talking about climate change or UFOs or bigfoot, it doesn’t matter. There will be people of all types. Nearly any controversial subject you care to name has another side to the debate that you probably haven’t heard. It is the goal of Skeptical About Skeptics to show you the reasons why you’re only getting one side of the story. An interesting fact to note about most fundamentalist skeptics is that very few of them have any scientific background at all. In fact, it is not at all necessary for these people to have any scientific knowledge in order to work as professional skeptics. Yet the establishment turns to these people to play the typical role of thought police. The subject of this type of false skepticism brings to mind a time when I came across a certain Youtube series. I won't name the channel because I don't intend to call anyone out, but in general, this was a channel devoted to “disproving” the “myth” of free energy. The channel included the demonstration of a number of devices which were said to be designed to create free energy, and were presented as being tested in fair objectivity. However, each time the author made a video, the answer seemed to always be the same. There was one instance when I noticed that a demonstration the maker was performing was clearly incomplete. There was a key step which he was missing which was present in every successful demonstration of this particular device. I kindly let him know that he missed a step, but instead of testing my suggestion, this person plainly told me that “no free energy devices work” in so many words. He said that, “You can't get something from nothing”, which is true. The catch is that in our universe, there is no such thing as “nothing” (hence the principle of vacuum energy). Even when we have "nothing" (or vacuum), we can still measure energy within it. It is understood that some people have not caught on to the current, 20th-century physical models of fluid spacetime. However, it is not very common to have such a well-funded Youtube channel, advertising a century-old model of physics, and feigning objectivity while telling masses of people to completely distrust the idea of free energy unless there were some sort of intensive for an individual to do so. 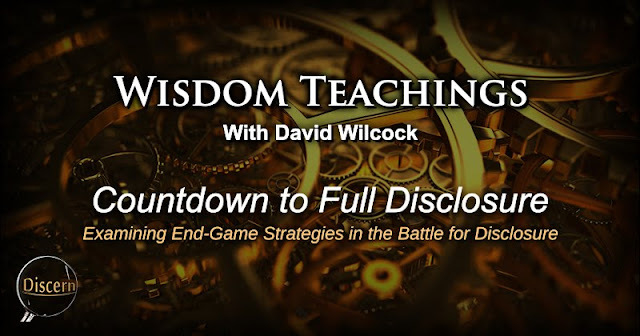 Many of us are likely to have noticed that most, if not all subject matters discussed within the Wisdom Teachings series have had pseudo-skeptics assigned to distract and detract people from ever reading on these subjects. This attempted detraction seems to be so common that it can even be a helpful at pointing out which sources are the most accurate. It could even be argued that the more pseudo skeptics a subject attracts, the more reliable it likely is (though this is not an excuse to defer discernment). Simply put, the system does not typically attack frauds. There could be a number of reason why pseudo skeptics preach their unfounded, fundamentalist message of corporately-approved reality. However, there is not much sense in judging these people as much as there is reason to clearly identify their tactics, their inaccuracies, and the truth their ridicule constantly attempts to hide. If nothing else, we may consider it a blessing which can help us stay mentally sharp. David Wilcock mentions one currently popular television personality. We know this person as Bill Nye. 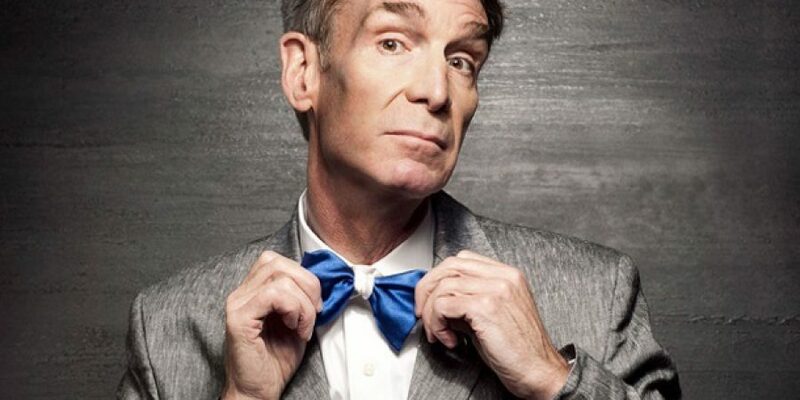 Bill Nye is most recognized for his role in the children's TV series, Bill Nye, The Science Guy. Within this series, Nye tackles a number of scientific subjects and explains them in a fun way which children could understand. One detail some may not be aware of is that Nye is presently used by the cabal media to play the role of pseudo-skeptic, and to belittle anyone who holds an alternative view to the scientific stance of the government. I find it unfortunate to see any personality being used in this way. As we know, this type of opportunity to serve the cabal is offered to anyone who is willing to compromise their integrity for the sake of success. Though I don't at all judge Mr. Nye, I find it unfortunate to hear that he has used his image in this way. Wilcock describes how Bill Nye has mocked UFO “believers” in the past while standing by the unfounded Drake equation as proof that the existence of intelligent, E.T. life is so unlikely within our galaxy. Though I personally have not listened much to the commentary from Nye, I find this to be quite possible, given the typical requirements for success on the cabal's payroll. The point which Wilcock makes is how surprising it was to hear that Nye had completely flipped the script on E.T. life, and that he is now openly supporting the narrative that life has to exist outside our solar system. One specific article mentioned within the discussion features Bill Nye commenting on the inevitability that life will be found outside the solar system. Here is the Huffington Post on the subject. When it comes to extraterrestrial life, Bill Nye is a true believer. In an interview with HuffPost Live on Thursday, Nye said that with so many galaxies in the universe, chances are that alien life exists somewhere. 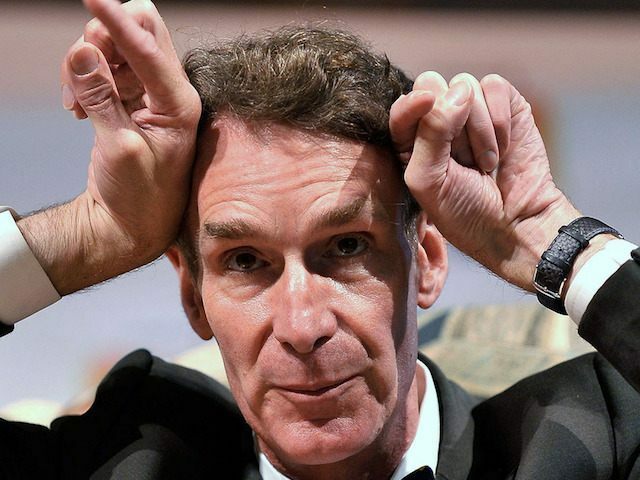 As Wilcock points out, Nye has completely flipped on his stance toward the prospect of off-world life. He points out that Nye is now poking fun at the non-believers, saying “Come on!”, as though it were ridiculous not to believe in E.T. life. Given that for the past half century, the scientific world has done nothing but laugh at the possibility, I would most definitely say that the game has changed, and the cabal is poised to reveal much more than the secrets they have previously held (though their true honesty will likely have to be coerced, or disclosed by parties unaffiliated with themselves). As the discussion continues, the subject of the Snowden revelations is raised. When we think of the full disclosure which we are likely to see in the near future, these Snowden documents are to represent a good portion of the coming data dump. Though one interesting point was made which we may not have expected. That is that among the entirety of data that has yet to be revealed, the portion we have already seen only represents 1.5 percent of the entire data dump. This is the scope of Full Disclosure. Many of us are familiar with the whistle-blower Pete Peterson, and his extensive knowledge and commentary on the various conspiracies which have gripped our world in both the past and present. Within this discussion, there are a number of new disclosures and corroborations which Wilcock gives from Peterson which shed light on numerous subjects. Below are a few of these disclosures. Only 1.5 percent of the data which Snowden gathered has been leaked so far (to restate). The intelligence we have on the SSP is to be part of the coming data dump. As Wilcock explains, the NSA made the mistake of storing all of their information in one database. This made it very easy to infiltrate, copy, and confiscate. There is a great deal of mining and manufacturing on multiple different bases on the surface of Mars. According to briefings, the facilities there are manufacturing very high technology. The Brain Drain of the 1950's actually started in the 1950's and extended into the 1960's. It was known that 25% of the people who were selected for this operation originated from the US and Canada. The rest came from Europe, South America and other places. This job search was even openly advertised in Brazil, and may be available for any Brazilian natives to research from old newspaper ads. There were 55 to 60 million people selected for this off-world population. These people were found to be the brightest of their time. They were offered a one way trip, and were told that they would experience a virtual paradise. The people were then shipped off of the planet and many were made to serve as slaves. These people were also mandated to have children. In only a few generation, this population could have easily reached 300 million people. (This is larger than the U.S. population at present.) As Wilcock points out, we no longer need to take Corey Goode's word for it. This is independent confirmation from official briefings which Pete Peterson regularly attends. This type of corroboration and verification is some of the best one can ask for. Those within the off-world civilization have high tech communication, portal travel, and a technology of modular housing units which can be used to build bases off world. These various housing units were capable of holding 2,000, 12,000, and 65,000 people. As of January 15, Europe, Asia, Africa, and South America quietly stopped excepting dollars in exchange for oil. America is being used by the cabal, and the dollar is being used as their weapon of conquest. Consequently, the only way to defeat them is to attack the dollar for a long enough duration to cripple the cabal, but not so much to hurt the American people. Saudi Arabia suddenly decided that they would only accept gold for their oil exports. The Saudis are responsible for 30 percent of the oil imports to America, and this change of Saudi business practices severely crippled Western cabal interests. The Baltic Dry Index is the lowest it has been in a long time. Levels this low may indicate an economic collapse has taken place. The positive Alliance within the NSA created bitcoin as backup for the dollar just in case the dollar crashes. Bitcoin is based upon complex code which must be created with multiple supercomputers. This makes the currency untamperable. Judging from the fact that we are now receiving confirmation for much of what Corey Goode has shared, it seems that Peterson may have been one of the other whistle-blowers which Goode was referring to who had yet to come forward with this knowledge. To add to the list of independent testimonies which support the disclosures of Corey Goode, we have William Tompkins whose experience within the Secret Space Program predated Goode's term of service by decades. We even see that Tompkins' expertise was foundational for designing the ships which one of the factions of the Secret Space Program used to travel to other systems, and that much of his knowledge may have helped build the database which the SSP stored on smart-glass technology. It seems that at this time, even the most sensitive SSP data is being disclosed by those who were formerly apprehensive about coming forward. Perhaps they were waiting to see what the reaction to Goode's testimony would be. They may have also been waiting for the moment they felt that the cabal's grip on the system was weak enough to ensure their safety after they disclosed their own knowledge. Whatever the reasoning is for their recent revelations, I am personally glad to see these secrets come to light, and I look forward to yet even more revelations in the near future. It is for reason such as these that I consider Full Disclosure to be inevitable. There were a number of other disclosures which Pete Peterson released from the latest briefing on Alliance activity, and we have discussed these in the section about. However, there are a number of these revelations which may deserve further investigation. On this note, David Wilcock details several of these disclosure which concentrate on the financial attacks against the cabal's economic infrastructure. As David Wilcock describes, multiple countries such as Asia, South Africa, and numerous countries throughout the European continent simultaneously stopped accepting U.S. dollars as payment for their exports. In so doing, these countries were choking the life out of the cabal-controlled financial sector of the United States. At the same time of this stockpiling of oil, the cabal wanted oil prices to remain as high as possible. (This is why they kept the domestic reserve a secret.) Even though they wanted to keep this oil secret, they didn't get their war, and were left with this enormous surplus of oil. So they ended up having to put this oil on the market anyway, and as a result, the price of oil plummeted. As we may remember, this was another blow to the cabal (not to mention a break for Americans at the gas pump). 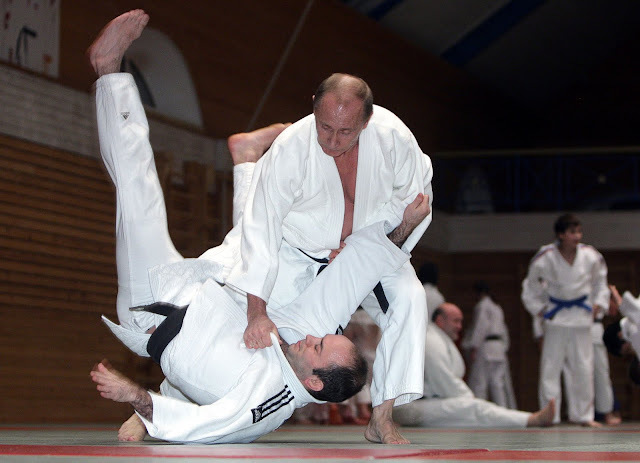 Vladimir Putin is actually a master in the arts of both Judo and Karate. He also seems to be an avid fan of Jiu-Jitsu, and has been shown to apply much of the principles within these arts to the tactics of the Alliance at taking the cabal down. His interest in Aikido seems to have come at a later time, though it may not be a surprise to see him officially trying his hand at this art as well. As Wilcock describes, the disclosure from Pete Peterson on the strategic oil price manipulation can clearly be seen in mainstream media. Below we can see that even the American press is weighing in on the situation, though their approach is predictably indirect. Here is the New York Times on the story. WASHINGTON — Saudi Arabia announced on Sunday that its new monarch, King Salman, would not be attending meetings at the White House with President Obama or a summit gathering at Camp David this week, in an apparent signal of its continued displeasure with the administration over United States relations with Iran, its rising regional adversary. As recently as Friday, the White House said that King Salman would be coming to “resume consultations on a wide range of regional and bilateral issues,” according to Eric Schultz, a White House spokesman. But on Sunday, the state-run Saudi Press Agency said that the king would instead send Crown Prince Mohammed bin Nayef, the Saudi interior minister, and Deputy Crown Prince Mohammed bin Salman, the defense minister. The agency said the summit meeting would overlap with a five-day cease-fire in Yemen that is scheduled to start on Tuesday to allow for the delivery of humanitarian aid. Arab officials said they viewed the king’s failure to attend the meeting as a sign of disappointment with what the White House was willing to offer at the summit meeting as reassurance that the United States would back its Arab allies against a rising Iran. 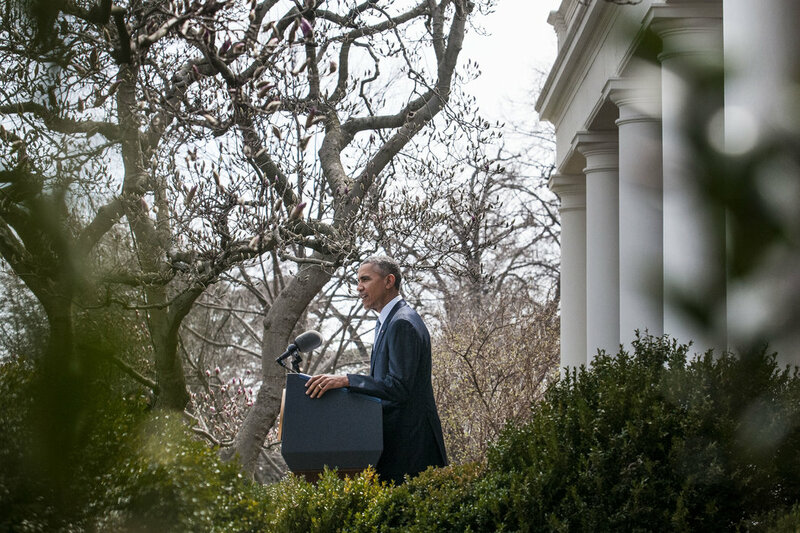 So not only has the Saudi king brushed off the United States as a customer. He has decided to boycott the importing of goods from the U.S. entirely. It is important to remember though that this is not an attack against the citizens of the U.S., but rather a direct blow to the cabal that has taken root and set up shop within the United States. In order to stop them, it is necessary to cripple their economy enough that they have no more power to influence the world. From a historical perspective, the hindrance of oil trading has been a strategic act of aggression during war times. David Wilcock mentions times such as WWII, when the Allies cut off oil supplies to Japan, and that this Allie move was actually the pretext for Japan's attack on Pearl Harbor. As he explains, this was actually a cabal-orchestrated move to get the United States involved in the war. Moving along on the topic, one particular article from the publication, The Daily News, featured a direct attack on the Saudi King. The nature of this article very much seems to communicate the sentiment of the Western cabal interests. As we can see, they aren't pulling any punches with this article. So we have this situation in which the oil supply to the U.S. is being choked out by the Saudi king. Wilcock goes on to describe how the U.S. powers retaliated by threatening Saudi Arabia in a number of ways. Here is the New York Times with that story. As Wilcock describes it, the situation is a bit complex. 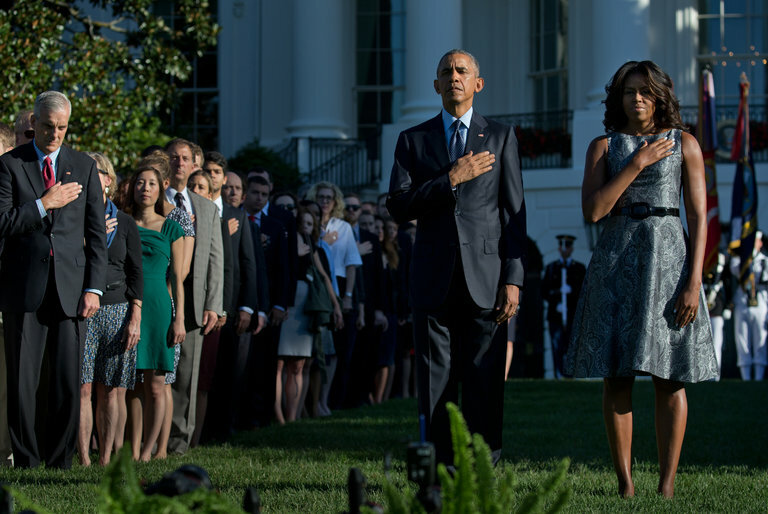 We have numerous families of 9/11 victims outraged about the lack of initiative on the investigation of the attacks. These families were demanding to know about the possible involvement of the Saudis in 9/11, but were not allowed to see that portion of the 9/11 report. Because of this situation, Congress intended to pass a bill that made the Saudis liable for American lawsuits for damages caused by 9/11, and the Saudi government did not like this at all. In response to this public threat from the U.S. Congress, the Saudis threatened to sell off all $750 billion of their American treasury securities in the case that the U.S. passed this bill. (This would completely collapse the American economy.) Their stance was, “If we're going to lose it anyway, you'll never get it.” As Wilcock points out, these are “end-game” moves being openly plaid. Neither of these parties are playing anymore. Once these moves are made, there is not much left for either side. If they were to carry out their threats, they would both be financially ruined, but they are willing to go this far in this financial war. In my view, this is indicative of an imminent shift that is soon to take place, and when it happens, there will be no hiding the fact that something has most definitely changed. Another interesting detail within this article was the fact that there were 28 pages redacted from the 9/11 report which would very easily shed light on the subject of guilt. Yet these were deliberately kept from public record. This is the cause of frustrations of the families who lost loved ones in the attacks, and is one of he reason they have been so adamant about further investigation. This also shows the dishonesty and possible involvement of the present establishment in carrying out these attacks. A few thoughts which Wilcock offered in passing included the fact that Obama himself was doing what he could to stop this bill from being passed. I cannot personally say what the true reasoning was behind Obama's efforts, though I realize there are a number of ways to see this situation. Perhaps Obama is covering for Saudi involvement in the 9/11 attacks. Perhaps Obama is under orders to hide the truth in this way, or he may be attempting to keep the situation from deteriorating too quickly. Whatever the reasoning is, I am sure that this will be revealed in good time. The truth behind the smoke and mirrors is coming forward at an ever quickening pace, and there is very little that can stop it at this point. Every day we are coming ever closer to the juncture where we must face the good, the bad, and the ugly of the world which was formerly hidden from us. Many subjects formerly thought of as myth will be brought forward as provable fact, and many concepts which were formerly believed to be laughable by the mainstream will be proven to be applicable science. We have these advancements to look forward to. However, it is important to remember that it is up to each of us to ensure that these advancements are made. It has been stated numerous times within past articles and from many sources that this future is in each of our hands, and that as we move forward, it is we who are deciding how the road progresses. We have done well, and the job is almost complete, but we're not done just yet. As we move forward, let's remember that it is not our life experience that supports us, but rather it is we who support our own life experience. We are almost there. Let's make it to the finish. Thanks for that detail. Both of these arts tend to rest on the similar principles. Though it seems that the Earth Alliance continues to use the principles of Aikido in their way of subtly, but effectively 'helping' the cabal collapse under their own weight, and using their strength against them. As I have read, Putin is an 8th-degree black belt in Karate as well. In short, it seems he knows his stuff.